As part of the relationship, Sage will also make a minority investment of £10 million and take a seat on Fairsail’s board. Sage said it signals a commitment to make the partnership a success and allows Fairsail to invest further in its product. 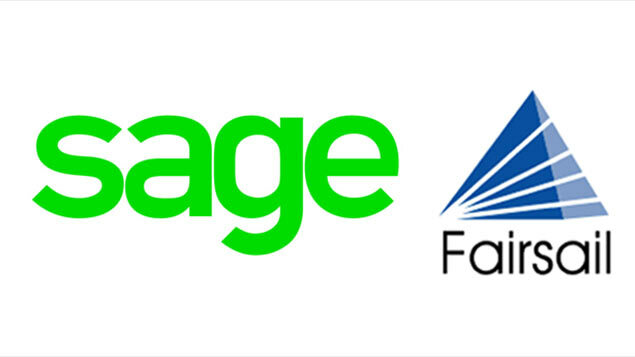 Fairsail will become the cloud HR “platform of choice” to accompany Sage’s X3 Business Management Solution which serves mid-sized enterprise businesses. Sage X3 and Fairsail products will work together to provide companies with “better processes to manage financials, supply chain, payroll, workforce and talent management, all in the cloud”, the companies announced. It was also announced that Sage will implement the Fairsail solution internally as its own global HR solution. Alan Laing, executive vice president of partnerships and alliances at Sage said “As part of our ever expanding network of partnerships and alliances, we are very excited to further develop our relationship with Fairsail. The announcement came as Sage reported interim 2016 results showing revenue growth of 10% for the first time this decade, as well as a 50% increase in software subscriptions to 842,000. Fairsail enables mid-sized, multinational companies to manage modern workforces through its global cloud HR software, allowing organisations to acquire, engage, manage and develop their people. It is built on the SalesForce platform.